If you’re like most small businesses and start-ups, finding ways to market your business is always on your “to do” list. Google offers some great programs to help your business get found online. 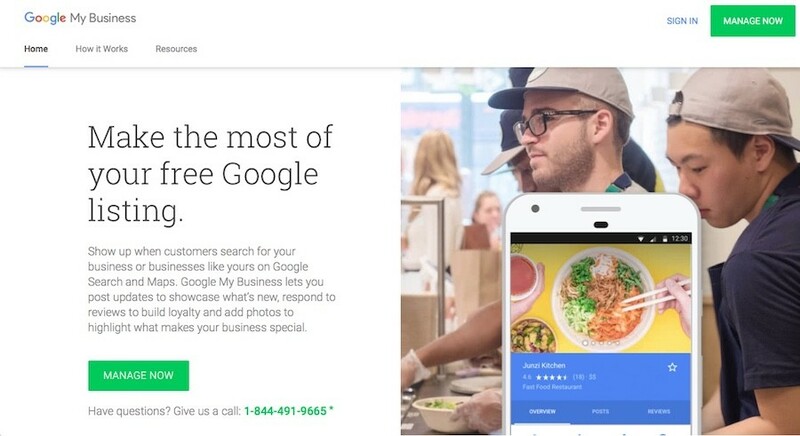 If you don’t already have your business set up with Google My Business, you should definitely consider it. While it likely doesn’t directly impact your search listing, it does help Google get to know you. And just like with people, the more Google knows about your business, the more it trusts you. So it’s always helpful to participate in as many Google programs as you can, as long as they make sense for your specific business. Setting up a Google My Business (GMB) account is simple to do. You just need to log in with your Google account. If you already have an account that you use for other Google programs, such as Ads or Analytics, use the same login for GMB. Get started by giving Google the basic information about your business. Click the Info tab to fill in things like name, category, locations, hours, phone, website, and a brief description for your business. You can also upload photos. Try to include at least a cover photo and use your logo as the profile photo. A couple notes about your location. If you have more than one location, you can list them all. If you work out of your home but don’t meet with customers there, or if you deliver goods or services to your customers at their location, you can opt to list your business as a service area business. Select YES for “I deliver goods and services…” Enter the area that you service. Do not check the “I also serve customers at my business address.” Here’s a screenshot of the selections. That’s it! When you’re finished, Google your business and you should see your GMB info on the right side of your browser. If it doesn’t show up right away, give Google a day or so to process the information. Next up, the Menu and Services feature and GMB posts.